This weekend was homecoming time for Mark Morris. The Seattle-born choreographer and his company, Mark Morris Dance Group, presented three of his works: New Love Song Waltzes, Love Song Waltzes, and Socrates at the Paramount Theatre this weekend. While the first two works and the last differed from each other in content and style, each showed just how musical and meticulous Morris can be. Split neatly in two, the bill presented the two Waltzes during the first half, with Socrates following the intermission. The two Waltzes bore not only similar titles, but also similar movements. Each was set to one part of a two-song cycle from Johannes Brahms. Throughout both pieces, folk dancing influences, such partner dancing and going from one partner to the next, kept appearing. In New Love Song Waltzes, which premiered in 1982 in New York, the blue-and-black-clad dancers moved brightly across the stage. The contrast between their weightiness in floor sections and lightness in jumping sequences was refreshing as they moved either in gender-blind couples or groups of three or more. The piece had a lilting feel of calm ocean waves on a spring day, the motions and impulses never quite stopping. The dancers would appear in groups, crystallize into an image, and then let it dissolve as they ran sprightly into a different image. 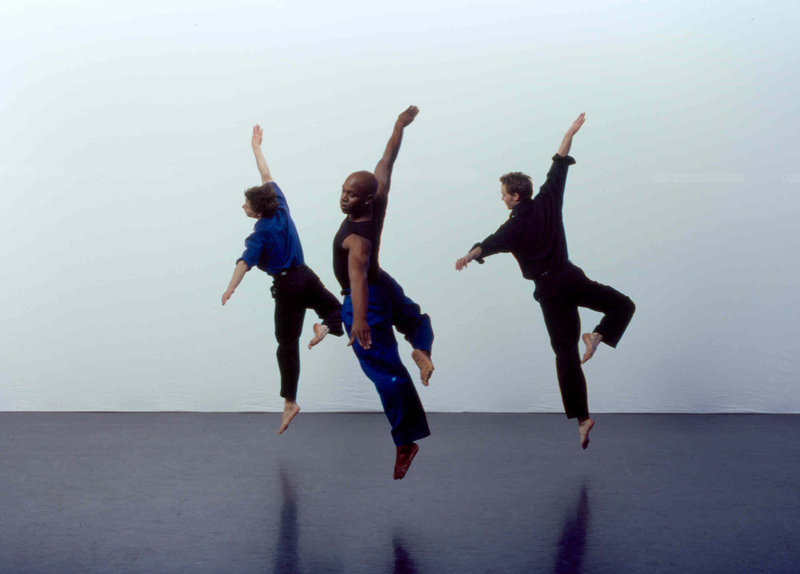 Morris’ choreography is as rich as it comes, especially how he combines bigger physical movements and smaller gestures. Add to this his knack for herding dancers into unpredictable sequences, and the pieces certainly kept the audience on their toes. One notable sequence came when the dancers held hands and walked in a diagonal across the stage. The person at the front of the line then dissolved to the floor and rolled underneath the group back to where they came from as the walking dancers stepped over each of them and continued the pattern. The succession continued for a few moments before it dissipated into a different pattern that was just as refreshing. Following this piece was Love Song Waltzes, which is, counterintuitively, the newer version of the two (the second premiered in 1989 in Belgium). The movements were similar to that of the previous, but the dancers were now clad in red and black. Here, the folk-dance influence became even more apparent, the partnering more conventional, and the choreography less varied than in the previous work. This resulted in a version of Waltzes with less texture than the first. Throughout Love Song Waltzes, the partner dancing influence kept the dancers at arms length from each other. Dancers never stayed with the same partner for more than a few measures of music, giving the impression that the relationships were inconsequential—connections formed only out of convenience. Morris is a master in musicality. He makes the audience listen more closely by watching the dance. Yet, throughout the second piece, the dance followed the music so tightly and at such a constant pace that it never gave the audience a break to breathe. At the same time, the movements never quite took the audience’s breath away either. After intermission came Socrates, a critically-acclaimed work set to Erik Satie’s “Socrate,” a 35-minute piece of music for tenor and piano. The dance offered three glimpses of the Greek philosopher in three sections: “Portrait of Socrates,” “Along the banks of Illissus,” and “Death of Socrates.” Although the piece itself is non-narrative, Satie’s music was. English subtitles of the French lyrics were provided on a screen above the dancers and in the program. Though effective at times, especially when the movements corresponded with the lyrics, the subtitles also proved distracting for viewers looking to watch the dance. In the first section, dancers moved in pairs in a horizontal line across the stage while connected by a hand-held tether. They moved from one posture to the next, like flattened Greek profile portraits painted on reliefs. The second section recounted the story of the philosopher and one of his disciples. Here, their movements were no longer portrait-like. Instead, arm-swinging walks in place and eccentric jumps across the stage took over. Certain parts of the first two sections felt like watching rain falling: the process made one curious enough, but the uniformity of it all didn’t stay engaging for long. However, it only took a curious elbow wiggle or an eccentric head bobble to jolt one back awake and pay attention to Morris’ rich movement palette. The third and final part showcased stronger choreography overall. Dancers were divided into three groups. Oftentimes, the groups crisscrossed and settled into an image before letting it dissolve (one of Morris’ strengths, indeed). The work also featured strong miming at the end when the dancers drew their hands to their mouths to illustrate Socrates drinking his cup of poison. The ending—when they lay down and gently floated up their upper and lower halves of the body while the lights faded fast—drew gasps and sighs from the audience, as though yearning for more. MMDG managed to entertain audiences with Morris’ detailed choreography and the dancers’ strong technique. Even so, with the exception of the last section of Socrates, each piece was, at best, lightweight and simple affairs. This program ran February 14-16, 2014 at the Paramount Theatre. 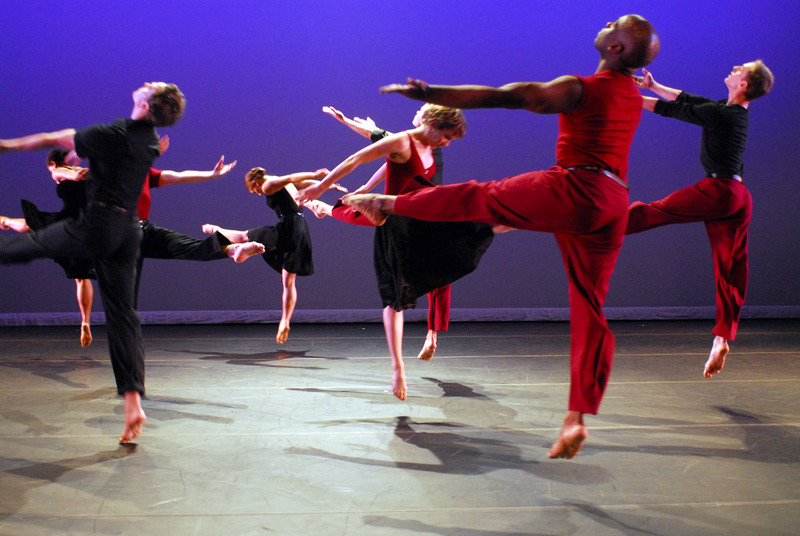 For information about the Mark Morris Dance Group, see markmorrisdancegroup.org.